As the moon wanes into the darkness this October, the seasons also turn towards a time of inner work and silent reflection. As the nights grow longer, those of us in the Northern hemisphere gather the final fruits of the growing season and lay to rest that which has served its purpose and is ready to return to the darkness of the earth. It is a time of stillness and introspection, yet don’t be deceived—this quiet is the crucible for profound changes. As the stillest hour of the night is known as the witching hour, so October and November are the witches’ new year, Samhain, a time for powerful magic & transformation as we release what is ready to die and be reborn from the Void. 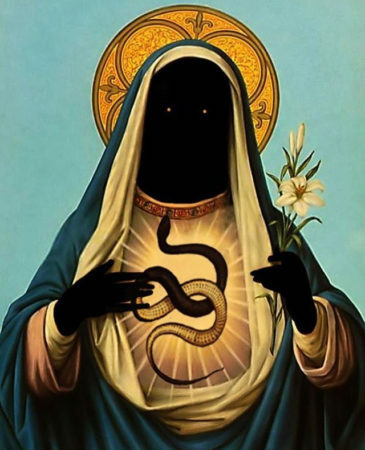 The serpents are masters of this process of transformation, shedding their old skins easily and quickly in an enduring symbol of the journey of death—entering the underworld, leaving behind an old shell and resurrecting in a new form. As Samhain approaches and the old year dies, the boundary between the worlds grows thin, and we draw upon these powerful energies to celebrate the life and love of our founder and Sourceress, Rose Mary Amaru. Rose has chosen to dedicate her life in service and love to the Serpent Medicine. We honor her transformation & the fruits of her Love under the new moon, and celebrate her indigenous heritage by telling anew the story of Amaru—the double-headed, winged serpent-jaguar deity of the Incan people, bringer of revolution, cleansing waters, and the winds of change. Amaru, transcendent master of the boundaries between worlds. Amaru (a-ma-ru) means snake in Quechua, the ancient language of the Incan and Tiwanaku empires. 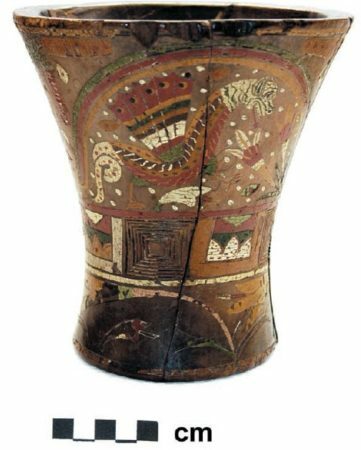 The Amaru (or amaro) is symbolized by the anaconda in the Inka tradition, and represents the creative power of the Earth and Mother Nature as well as the creative power of humankind. 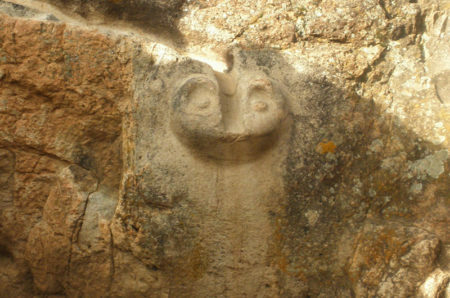 The Amaru is also the connection to the underworld (uju pacha) A.K.A. the inner world, making it a perfect guardian spirit for this time of dark reflection. In a figurative sense, the Amaru stands for the internal energies which humans can direct, control and use in a purposeful manner outside of their bodies to bring forth the Light. 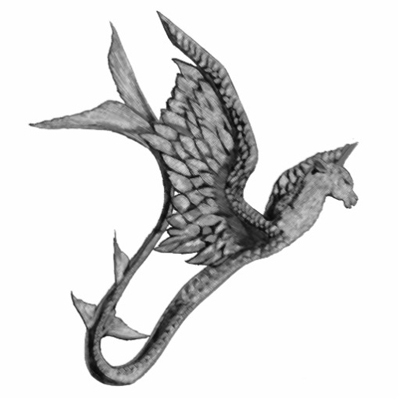 Amaru is depicted as a mythical two-headed serpent or dragon, dwelling underground and bringing forth these hidden waters to nourish the people of the earth and bring them justice and abundance. Its two heads are a bird and a puma or jaguar (or sometimes a llama, also a sacred animal to the Andean peoples). 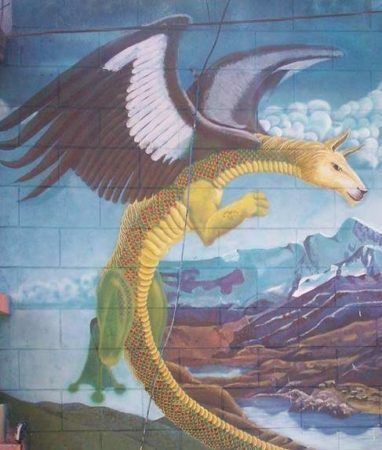 The Amaru is a Serpent (or Dragon) so powerful that it carries the sacred medicine of all the three realms—the Serpent, guardian of the watery underworld, the Puma-Jaguar (or llama), guardian of the earth, and Condor, guardian of the sky. Amaru is the bridge between heaven, earth, and the worlds below—in fact, the Q’eros, descendants of the Inkas who speak a dialect of Quechua today still refer to the rainbow as “Amaru of the day” and the Milky Way as “Amaru of the night,” bringing water and nourishing milk to all who need it. As Amaru blends these different medicines together, it becomes associated with the sudden & violent overturning of established order. Through earthquakes, floods, storms, and fires Amaru brings energetic balance to the worlds—and in the form of Tupác Amaru, the last king of the Incan empire and first to rebel against European colonialism, Amaru teaches us the value of revolution. As the new moon falls this year on Indigenous Peoples’ Day, we honor the spirit of Amaru, born again in our Sanctum as Rose Mary Amaru—may this Winged Serpent of Revolution ever be reborn into the Light, bridging heaven and earth with rainbow magic!